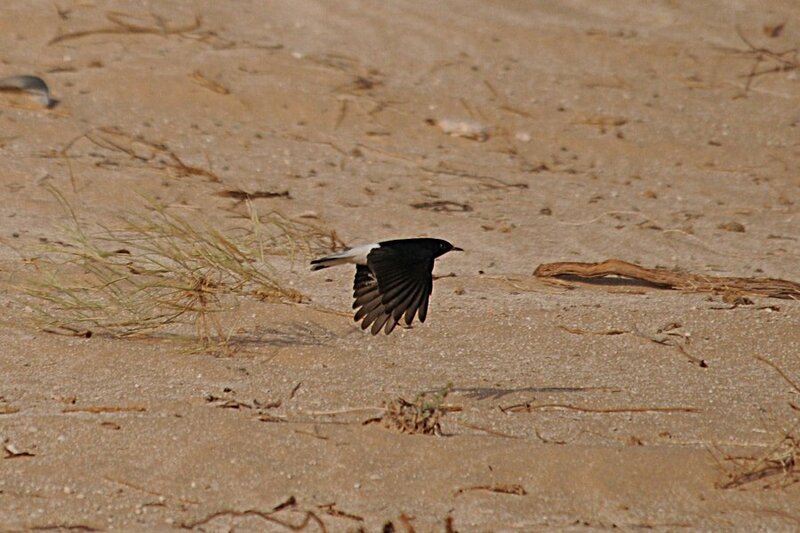 A very early morning trip to the Shedgum Escarpment with Bob Roberts was undertaken to look for White-crowned Wheatear Oenanthe leucopyga. Bob had seen birds in this area in 2009 and I had failed to see them earlier in the year when I visited. Bob said the birds preferred areas near to the steep cliff faces and as we arrived at dawn it was not too hot so we had a walk around some likely looking areas. This failed to turn up any wheatears with the only birds being seen a Desert Lark and a few Rock Doves. We then decided to drive along the edges of the cliff faces, or as close as we could get in the four-wheel drive Landcruiser so we could cover more ground. On the way back from the cliff towards the main road I spotted a bird sitting on a rock and it soon became apparent it was a 2nd calendar year White-crowned Wheatear. The bird did not have a white crown and the tail was spotted black on all the tail feathers indicating its age. We watched this bird for some time before deciding to continue on the look for an adult with a white crown. We proceeded to the top of the plateau and had a look around but the wind had got up and there was nothing to see up there, so we came back down and continued along the bottom of the cliff. 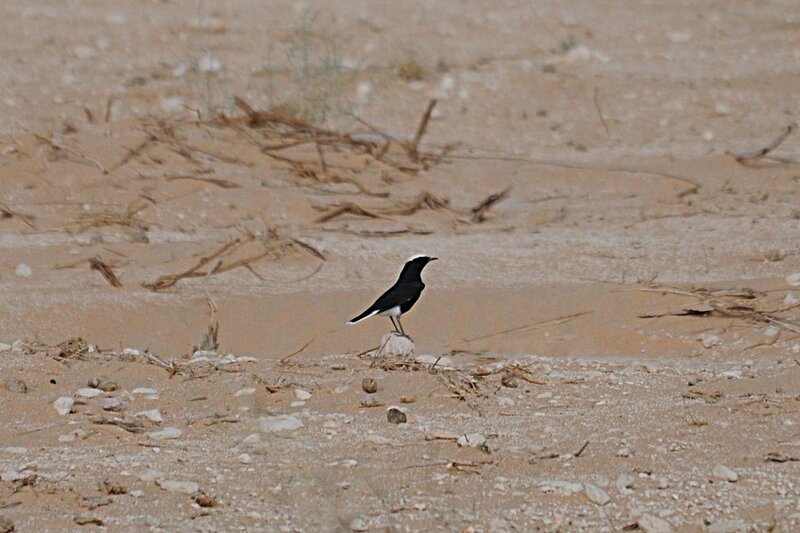 Here we saw two more Desert Larks and a nice adult White-crowned Wheatear. 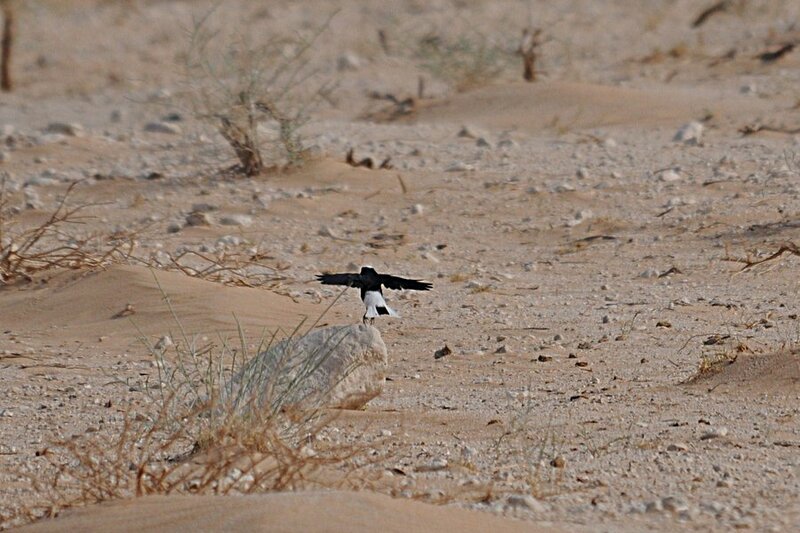 Both birds were feeding in flat vegetated areas at the bottom of wadis which is their preferred habitat for feeding in the early mornings. 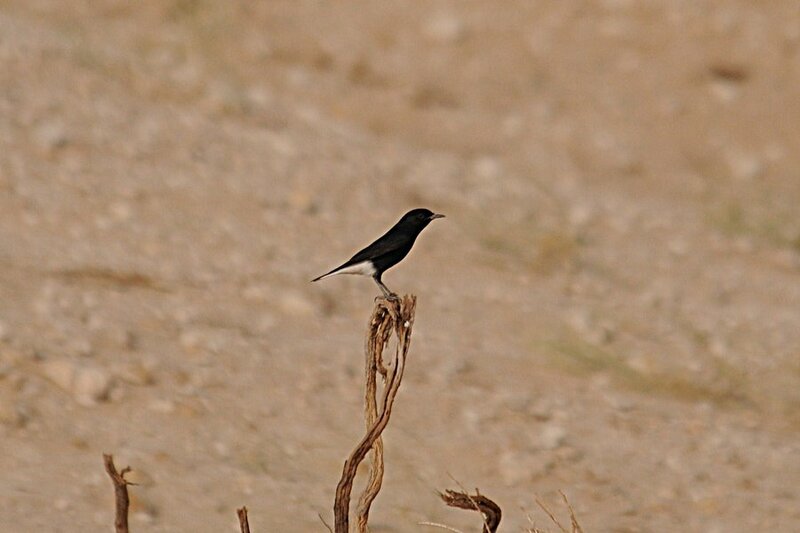 The White-crowned Wheatear is largely resident occurring along the eastern edge of the Summan Plateau where they have large breeding territory sizes of 6.4 hectares or more. 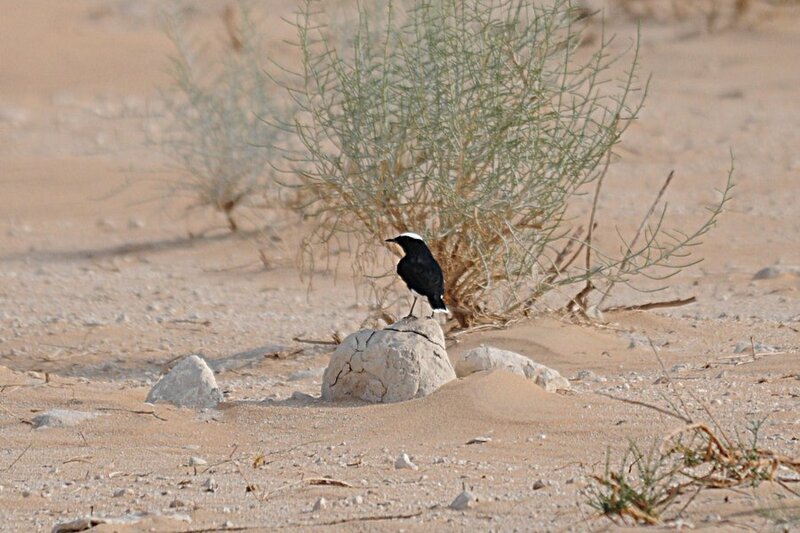 They are a bird of the true desert occupying wadis, rocky escarpments & broken boulder areas, where vegetation is sparse and rainfall does not exceed 150mm per year. 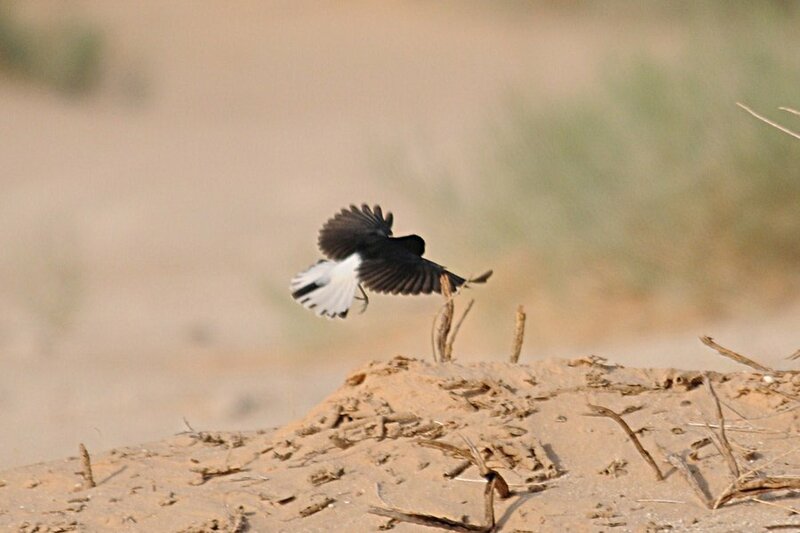 The birds require flat vegetated areas where they can forage and feed in the early morning and late evening. 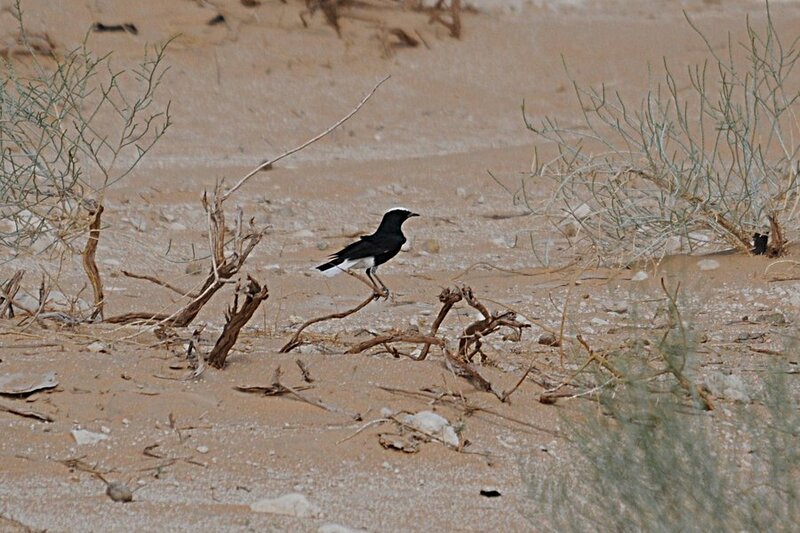 The subspecies that occurs in the Eastern Province is Oenanthe leucopyga ernesti (Meinertzhagen, 1930) that occurs from southern Israel & southern Jordan to north-east Egypt (Sinai) south to central & eastern Arabia and Yemen.